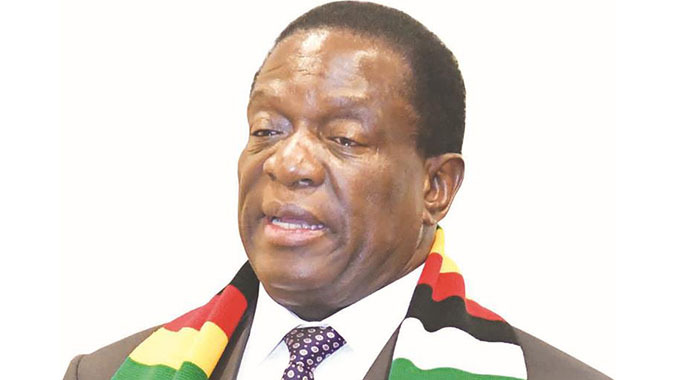 Harare City Council is set to get the remaining $72 million from the $144 million Harare Water and Sanitation Rehabilitation Facility from China-Exim Bank after President Mnangagwa intervened following the stalling of the draw-downs from the fund due to corruption. Chinese funders, according to the President, had withheld the funds citing that council had not used the money for the intended purpose. The Head of State revealed this during a special Independence Day interview with ZBC at State House on Saturday, saying he pleaded with his Chinese counterpart, President Xi Jinping, to release the outstanding amount. President Mnangagwa said former officials who abused the $144 million loan facility were going to be punished. “We had a loan extended to Harare City Council by the Chinese for sanitation and water reticulation. That money was then used to buy cars and other luxuries. It did not address the issues for which the money had been given. So, when I met my brother and colleague President Xi Jinping (Chinese President) and discussed this loan. I was not aware that had happened and so I said, ‘Mr President, you gave us this loan but stopped it before all the money had been fully disbursed’, and he said, ‘My brother, the money was not used for what we had given you for.’ I was not aware people bought cars, some having workshops which had nothing to do with sanitation. I made an appeal and the money is going to be released. The rehabilitation of Morton Jaffray Waterworks is almost complete and the $72 million is required for the contractor to proceed with works at Warren Control, Alexandra Park and Letombo pump-stations as well as completion of works at Firle and Crowborough sewage works. The city entered into a US$144,4 million loan agreement with the Export and Import Bank of China for China National Machinery and Equipment Import and Export Corporation to refurbish Harare’s water and related infrastructure. The project covered Morton Jaffray and Prince Edward water treatment plants, and Firle and Crowborough sewage treatment plants. Former Harare town clerk Dr Tendai Mahachi and former mayor Mr Muchadeyi Masunda signed the deal with China National Machinery and Equipment Import and Export Corporation general manager Mr Yang Yinan in 2010. The deal has always been shrouded in controversy amid claims that it could have been grossly over-priced since the selection of a Chinese company to carry out the project was not put to public tender. A World Bank-appointed consultant, Engineer Peter Morris, found out that some components were priced five times over their market value and that costing of the US$144 million project could have been over-priced by around US$100 million. Dr Mahachi also came under fire after council used part of the US$144,4 million loan to buy 25 cars. Councillors expressed outrage over the purchase of the vehicles, with former finance committee chairperson Cllr Norman Markham saying there was too much opacity in how council spent money.